Saturday was such a fabulous day! Not only did Ed send us a package, John and Amy did too! They know what a collector I am. I fight the urge, but it brings me much joy to collect. 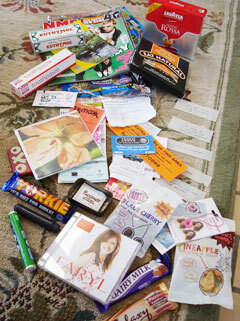 And when the collectables take up little space, all the more joy. Thank you, John and Amy! They live in a beautiful part of Germany, though they are American. Their amazing little town has at least one pastry shop. I can just taste it now… Sigh. The International Toothpaste Museum is the proud recipient of another tube, and it’s already highlighted. My friend Ed sent us a package. What a joy! Many many wonderful inclusions for every member of the family. Each item reflected thoughtful awareness of what each of us might like. The International Toothpaste Museum is the proud recipient of two tubes, which will be featured soon. We met Ed when we lived in England. He still lives there but was over in the States for a conference. Though we couldn’t meet up, he was kind enough to send us many gifts. Thank you, Ed! It’s great to have friends. 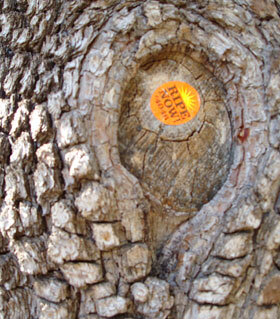 One of my buddies had been there before, and he pointed out to us fruit stickers that someone had put on tree knots along the trail. After that, we noticed many more! I was not offended by this little non-natural thing in such a beautiful natural element. I considered it art! This artist had taken something out of context to give us all a little bit of strange and unexpected fun that would not otherwise have been part of our lives. 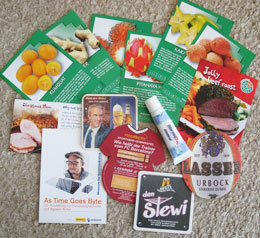 Takeaway: what is a way you can add a tiny bit of unexpected fun to what you offer? 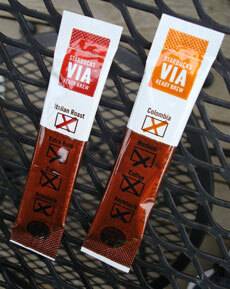 Starbucks has a new instant coffee called “Via“. (I mentioned that back on February 19.) So it took a while for the free samples to come. It took a while longer for me to try them. The perfect opportunity came when I spent a weekend with two buddies who aren’t coffee addicts like me. Verdict? Amazing. It certainly has to be the best instant in the world. It comes in two flavors: Colombia and Italian Roast. I like Colombia best. (I prefer strong flavors, so I was surprised at my verdict.) It has none of that gritty instant-coffee-taste. There’s not quite the depth of flavor a fresh-brewed cup has, but considering that Starbucks squeezed that much taste in a tiny packet, I am fully impressed. 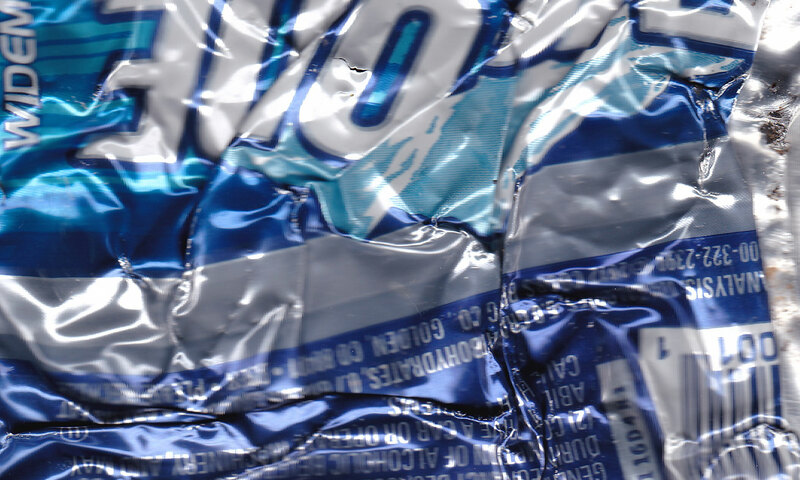 Each little single-serving packet costs about 83c. That’s a little bit much for my budget, so this will not be a regular part of my coffee-drinking experience. In the package, there was a coupon for free shipping with any order from starbucks.com. I thought that was pretty minor bonus, but then I stopped to consider that the samples were free… I was just being ungrateful. If you can afford it and need that convenience during travel, get some! My only tip is to pour boiling water after you have put the powder in the cup. That will allow your coffee to all be used and will not allow steam to cake it at the lip of the package. Disclaimer: via the Starbucks Twitter feed, “Starbucks VIA is available in Seattle, Chicago, London, and online (US only).” So your supermarket may not carry it yet! 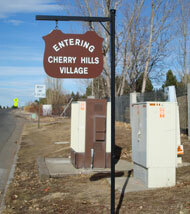 Cherry Hills Village is one of the most exclusive and expensive neighborhoods in Denver. You wouldn’t know it by their sign. 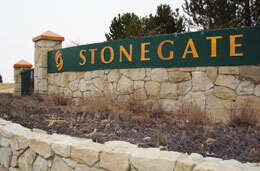 Stonegate is also a Denver neighborhood (near Parker). It’s normal upper-middle-class new houses. They spent a bit more on their signage. I guess those responsible for the Cherry Hills Village signage feel like their residents don’t need to tell everyone how fancy they are. Or maybe they forgot they had signs outside and thus haven’t updated them for 30 years. Takeaway: This is one of those things you already know. But I’m just reminding you (and me) to remember this basic truth… What is on the outside may have no relation to the reality of what is on the inside. We lived in England from 1995-1998. I regret that a digital cameras was not yet part of my life then. However, when we flew to live in Africa on 2005, we stopped in England, so I had the chance to capture a few old memories in a new way. 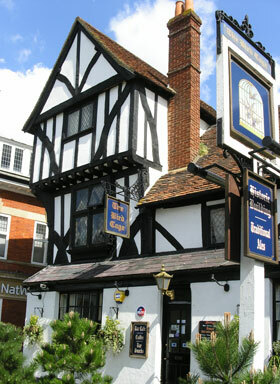 The most storybook pub in Thame is The Bird Cage. And there are bird cages over the bar area. It was nearly four years ago when we started living in Nairobi, Kenya, Africa. This treehouse was in our backyard. Our neighbor, Roger Van Otterloo, built this with and for his son. He was a real missionary, in the traditional sense. He and his family built a life for themselves in the heart of the jungle, so to speak – in the heart of Africa – Zaire (now Congo again). They left for the big city of Nairobi when civil war broke out – when they had to leave. You would never know from the photo that we were about two miles from the city center. 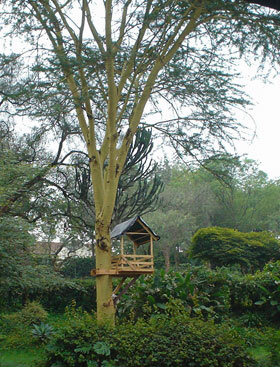 The tree, by the way, is an acacia – the quintessential African tree. If you want to read more about our life in Africa, kindly visit My Part of Nairobi. 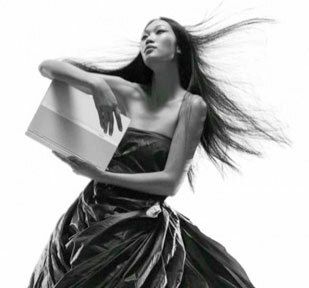 As you know, I’m into saving energy and recycling. Heather is too. 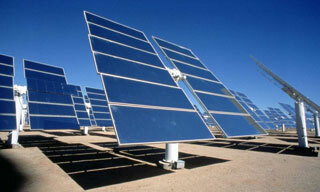 We explored the possibility of getting solar panels for our home. Denver gets a massive amount of sun – it’s an ideal place for solar power. There are incredible rebates and tax credits available now – knocking off nearly 2/3 of the costs! But it still would take more than ten years to pay for the investment. We just can’t guarantee that we’ll be in this house for that long. 2. Go back and re-word that awkward section. 6. 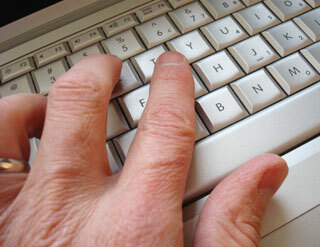 That headline is vital – make it attractive. “From the Latin, meaning ‘to fall in love'” vs. from the English, meaning very lightweight. So, Dell came out with a new laptop. The designer discusses his inspirations in a YouTube video “…the use of kindling material…” And the background music on the video is so ten years ago.